One point underlined in the paper was Jesus’ decision to interact with the poor, and with those whom religious leaders deemed to be sinners, rather than the leaders themselves. In this way, continued Professor Moloney, he broke away from religious tradition, emphasising a more authentic relationship between God and man. “In His way of imagining the world, what finally mattered in human life was not your virtue, nor your guilt; not your social position, not your achievements; certainly not your merits or possessions,” Professor Moloney said, in the paper. Professor Moloney added that this message could provide a useful point of reflection for the Church – particularly in the Jubilee Year of Mercy. “The Jesus I describe in the Meditation is very much the Jesus that Pope Francis is looking for,” Professor Moloney said. The paper also describes how the parables used by Christ to convey His vision often contradicted the wisdom of the time. According to Professor Moloney, this included the forgiveness of a father to his prodigal son, the goodness of a Samaritan and a shepherd leaving 99 sheep to look for one that was lost. “If you came to accept that God was uncalculating in goodness, then you had to be, too: forgiving seventy-times seven, loving your enemies, turning the other cheek, being generous and expecting nothing in return, leaving all judgement to an ultimate mercy,” he said. 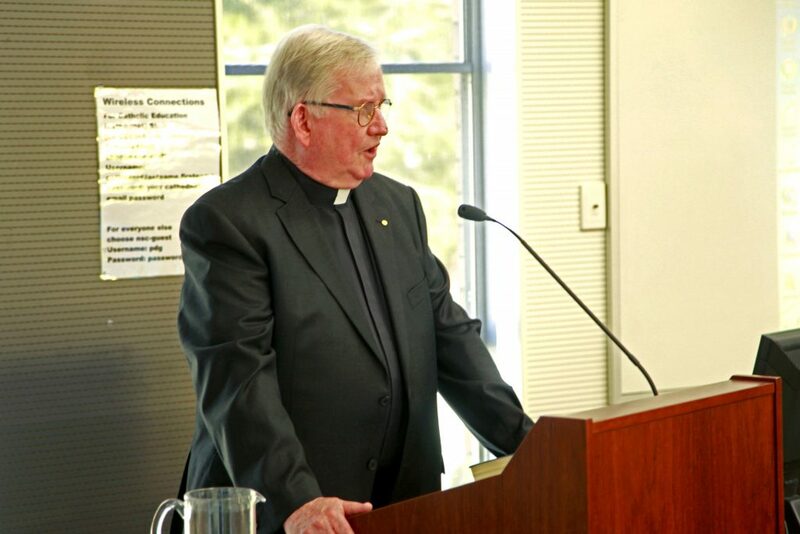 Along with his work as an academic, Professor Moloney was the Provincial Superior of the Order of the Salesians of John Bosco from 2006-2011 and, in 1992, received the Order of Australia for his services to religion. He said it was important that, while historians and theologians continued to examine and interpret Biblical texts, their findings needed to be accessible to the general public. “Today, there’s a major industry to rediscover the texts that were written in the first century,” he said.